As you read about our daily activities I thought it might be helpful to know how we structure our school days. Our school day is set up for 4 children. Two of them are my girls. Lovey is 3, and Tinker is 18 months old. We are also joined by two wonderful little boys. The oldest is 3, and the baby is 9 months old. Since beginning my time at home with the kids I have tried two different approaches. We started with a more open structure where I had a couple of activities planned for the day, and I left the rest of the day to a less planned routine. While this is what I envisioned when I decided to stay home and I know this type of schedule works very well for many families, it just wasn’t for us. I found that by lunch the girls were restless and my oldest was begging to watch a movie. I also felt like I wasn’t giving them enough in the way of learning opportunities, and I ended most days feeling like I hadn’t accomplished much in our home or in our learning. Honestly, I am pretty sure that this didn’t work for us because I have a full-fledged Type A personality. I personally just need more structure in my days, and so far it seems like my kids are a lot like me (oh boy!). So with the new “school year” we started a more structured routine, and we are all enjoying it. At first glance it may seem a little rigid, but please know that I use it as a guide. This way I have an outline of all of the different learning opportunities I want to include each week. That doesn’t mean we do everything every day. 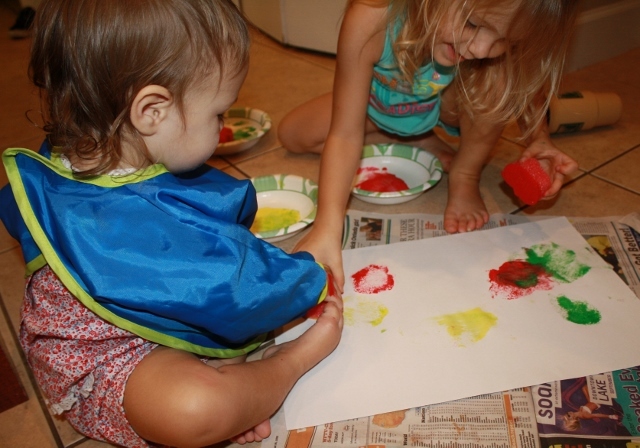 Some days the kids are really engaged in an art activity, so we will extend that time. Other days, they may really be enjoying story time, so we will spend more time reading before moving on to something else. Ultimately, my goal is for the kids to love learning, so I yield to their enthusiasm as much as I can. Our typical school day begins at 8 am. Before then the girls and I have eaten breakfast, gotten dressed, kissed Daddy goodbye, and finished our morning chores. 8 am: We start with calendar time and songs related to our theme. Everyone participates or watches to some extent. Even the baby loves to clap along. 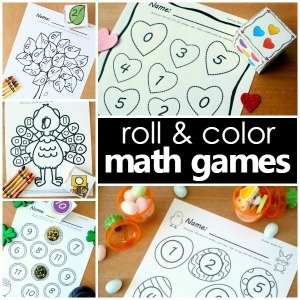 8:15 am: The big kids do name and letter fun activities that include a rotation of magnetic letters, stamping, letter stickers, name puzzles, and sensory writing activities. The little ones usually play with toys or try to find the cat (who does her best to hide)! I prepare snack. 8:45 am: We head outdoors. It is most often hot where we live, so we get out early to enjoy a walk or play in the yard. 9:30 am: The oldest three have free play. The baby begins his nap. I usually set up our art activity and prepare what I can for our lunch. 10:00 am: We sit together for story time and do some phonemic awareness activities. 10:15 am: The big kids choose between a couple of art options, and I usually have something planned for Tinker. 10:45 am: Dance time! Get those sillies out! 11:00 am: Free play again for the big kids. The baby drinks a bottle. Then I finish preparing lunch. 11:30 am: Lunch time for the big kids and me. The baby enjoys testing out his new crawling and pulling up skills. 12:00 pm: Stories and nap time. Lovey and Tinker nap regularly. Lovey does not nap any more but she still has quiet time for about an hour. While the others are resting I do floor activities with the baby and feed him lunch. Then Lovey gets up and enjoys playing with the baby and doing various quiet time activities that usually relate to our current theme or another learning goal we are working on. The baby goes down for his afternoon nap just before the others wake up. 2:00 pm: TV time. Yes, we do have scheduled TV time. The oldest two watch one 30-minute show on DVR. Tinker prefers to snuggle with Mommy when she first wakes up, so we usually rock and play a bit. 2:30 pm: We usually work on crafts, science projects, or cooking activities related to our letter of the week or current theme. 3:00 pm: Snack time for the big kids, and a bottle for the baby. 3:15 pm: We play outdoors in the backyard. 4:00 pm: We sing a goodbye song, and officially end our school day. The boys’ mom arrives shortly after that to pick them up, and the girls and I have some play time before starting dinner. This is our basic schedule most days of the week. We also have a standing play date and go to library story time once a week, and in the fall our local zoo offers an awesome story time with live animals. 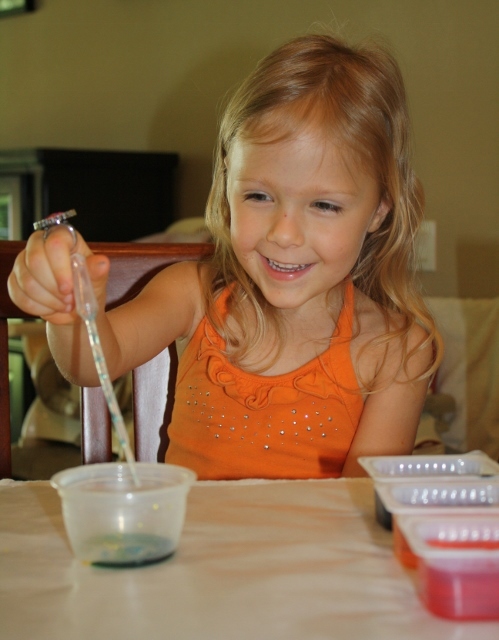 These things and other special activities that come up along the way are part of the reason I love schooling from home. So what do you think? Am I forgetting anything that you think should be a regular part of our learning day? What kind of structure do you prefer in your day? Let me know in the comments. I would love to hear your thoughts, as I know our schedule will continually evolve as the kids grow and change. I am a scheduler too! 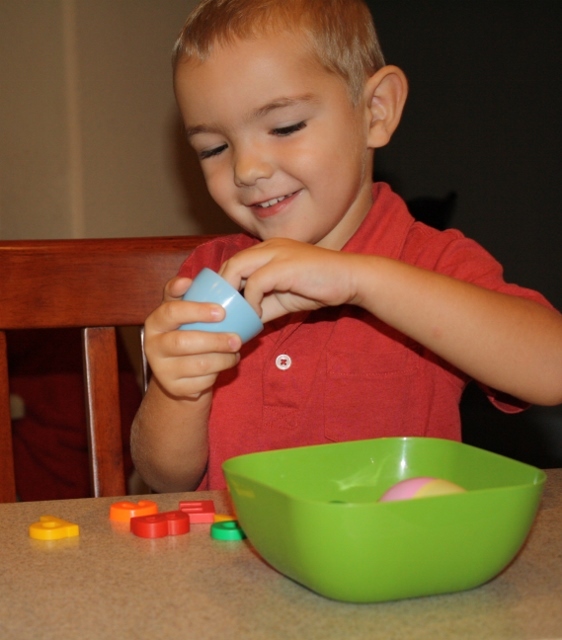 Yours looks great – lots of fun and learning. I love to have a plan and a schedule so I can see what we have accomplished in a day – otherwise our day goes by with a whirl and its hard to know what’s been done! Thank you, Sarah! Our schedule definitely gives some needed structure to our day, and the kids seem to do so much better when we have a rhythm. I know what you mean about being able to look back on all you’ve accomplished in a day! Hi Shaunnna! I’ve just discovered your blog and am loving what I see! I have a similar situation where I stay home with my two girls and babysit two other children 3 days a week! 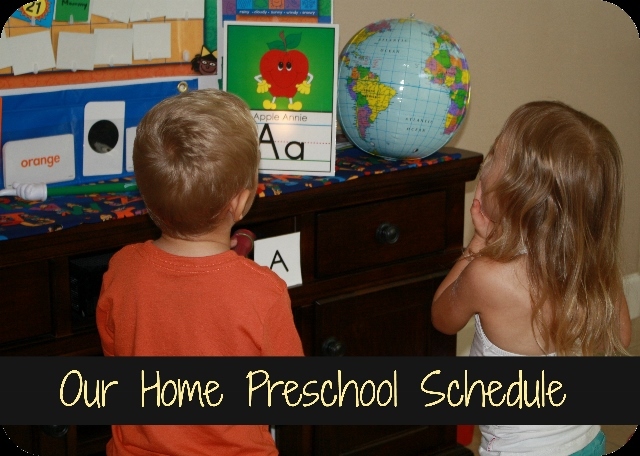 We do a lot of preschool activities and, like you, I have gone back and forth with our schedule. Now that it is summer time I am finding that the kids (and myself) appreciate a more relaxed schedule with just a few activities planned whenever they get restless. During the cooler months I definitely NEED structure! Your schedule seems very well thought out and I will certainly keep it in mind when it comes time to plan our schedule for next “school year”! Wow! It does sound like we have a very similar situation. Glad to “meet” you, Jessica! I’m so happy I’ve found your blog! I have five children (we also foster, so sometimes more!) and I babysit two days a week. We do a home preschool as well, but I’m looking for ideas on changing up our structure a bit. My question for you is, when do you fit in cleaning, errands, etc? Thanks, Tessa! I am happy you found my blog, too! I certainly wouldn’t say I am an expert, but I love organizing and I would be happy to answer any questions you have. There are a couple things that help me most…one of them is starting with a “weekly plan sheet.” It is something that you fill out just once (or as needed when you want to rework your schedule) to mark out blocks of time that are needed on a regular basis like school time, personal time, family time, cleaning, errands, etc. This helps me know what I should be doing when and helps me keep to that commitment. Of course, some people don’t like that much structure, but I find it very helpful. Personally I am most productive in the morning, so I do most of my real cleaning each day in about 30 minutes just after the girls and I finish breakfast. Then we clean as we go throughout the day and do a quick 5-minute “team clean” right before bath where we play a song and run around being silly and cleaning up any remaining toys or messes. The motivation here is that if the song is still playing and there is nothing else to clean up, then we have a dance party for the rest of the song. We almost always make it to the dance party! I don’t do a ton of errands. I try to plan as much ahead of time as I can so that I only go grocery shopping once every two weeks. My husband helps with quick errands by stopping at the bank or post office occasionally. My mother also helps by picking up fresh produce or small things if we need them and it isn’t a shopping week. We definitely operate on the “it takes a village” philosophy. 🙂 We also tend to have a lighter schedule on Fridays so I make doctors appointments and such on Fridays when possible. I enjoyed reading up on your schedule. Seems like a little more structure to my day would be great. Thanks for stopping by. Our schedule tends to work well for us, but I think we may be making a few adjustments after the New Year. Now that we have a good routine going and the older kids are becoming a bit more independent with certain activities, I see some spots that could be changed slightly. I took some time to look over your Facebook page. It looks like you share some great information there. I “liked” it from my personal account. I just found you through It’s Playtime and I must say that I’m really impressed with your blog! And if I go by your archives it looks like you’ve only been at it for a few months. Good for you!! I too am a new blogger and home daycare provider. Our day is much less structured and works for us. My current day care kids are part-timers so I have different numbers depending on the day. Also, my 2.5 year old son boycotts nap time several days a week so those two factors make it a little difficult to have a regular, daily routine. I usually have planned activities for the week and fit them in when a good opportunity arises. We too have (almost) daily outside playtime and dance parties! Glad to have found your blog! Now following on Pinterest and by email. Thanks so much for taking the time to look around my blog. I enjoyed looking around yours a bit, too. Seems like we have a lot in common! 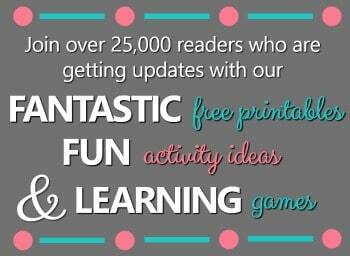 I love many of the ideas you have shared, and I am excited to follow you via email and Pinterest now too. I definitely understand all of the little changes that come up each day and impact the daily routine. We are able to get most of our planned activities in each day, but they aren’t always in the planned times. I am also learning to plan a little less. It is so hard with all of the wonderful ideas out there, but I am beginning to get a little better about choosing just a few activities that allow me to incorporate play and learning in many ways. As the kids grow and change I am also learning that we will modify our schedule often to meet their new needs and interests.